Raker-Roberta's Young Plants is the leading wholesaler of custom grown plugs and liners in North America. Through both seed and vegetative propagation, Raker-Roberta's supplies over 3,000 plant varieties to greenhouses and nurseries around the planet. CONTACT US If you ever have questions or concerns regarding your plant products, please feel free to contact Raker-Roberta's. We believe open, honest communication is key to a successful business relationship. Raker-Roberta's caters to small and medium-sized growers. 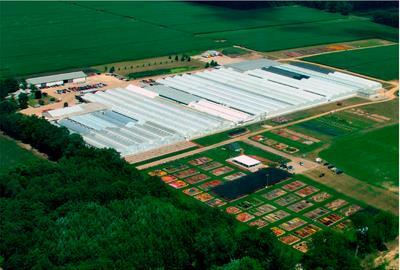 CUSTOM PRODUCTION In addition to the plant varieties we list, a Raker-Roberta's specialty is custom growing. Once a custom is approved, the minimum for seed items is only 3 trays and vegetative items is only 200 cuttings. QUOTE SERVICE Always submit your order to Raker-Roberta's for a competitive bid. Our pricing structure is intricate to provide small and medium-sized growers with the best possible price on plugs and liners. This service is no charge to you and ensures you are getting the best price. AVAILABILITY / SPECULATION In addition to custom-grown items, we maintain an extensive “at-once” inventory. Our real-time inventory management system ensures trays ordered online (www.raker.com/availability) are truly in-stock. When you order a tray from Raker-Roberta's Availability / Speculation, you will receive that tray (not a substitute). ALL-INCLUSIVE PRICING The quoted price is the bottom line. Whether it is delivered or freight-on-board, Raker-Roberta's never adds-on royalty, boxing, handling, or fuel charges. DELIVERY We ship service directly to your greenhouse. Our tested packaging delivers high-quality plants intact and ready-to-grow. Additionally, a 50-tray order qualifies for private (grower) delivery. Simply ask and we will place your order on our patented shipping cradle system. Plant products ship via FedEx and UPS. Or, pick up your order. DISCOUNTS Preparation is vital to success. Raker rewards readiness with two discounts that apply regardless of the season: Early Order and Volume. Early Order provides a 10% discount on any order placed 12 weeks before the ship date. Volume rewards an automatic discount between 8-33% (depending on your order history). TAGS Raker-Roberta's is a simple solution for your plant tag purchases. If tags are not provided as part of a patent, let us know and we will delivery them with your plants. Our small bundle sizes (and delivery savings) make ordering tags from Raker-Roberta's a smart choice. 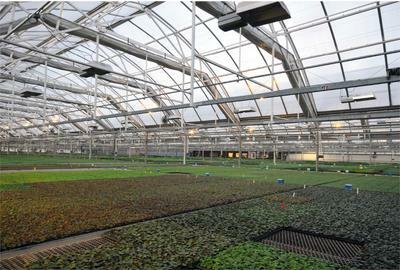 TRAYS We primarily grow product in 6 tray sizes (3 plug & 3 liner trays). 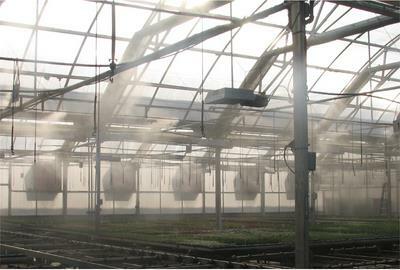 In addition to these standard tray sizes, we have the ability to grow product in another 24 sizes. 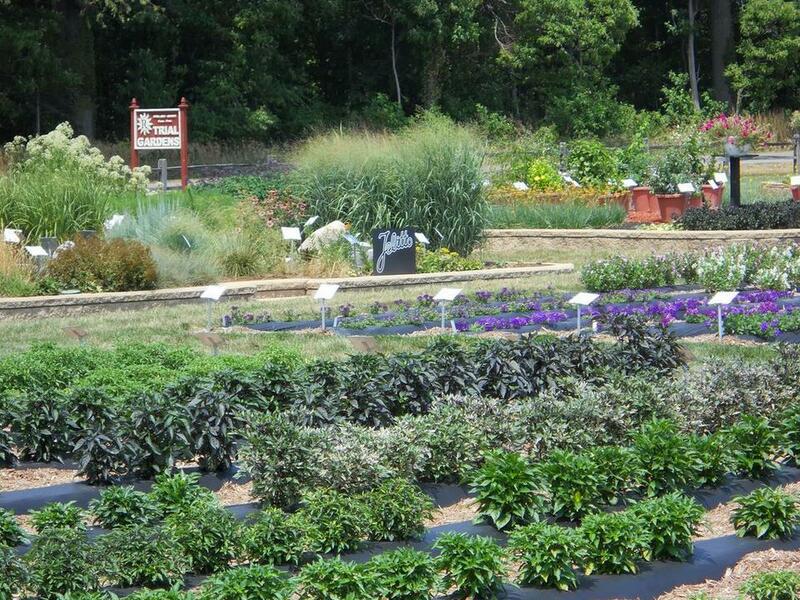 TRIAL GARDENS We continuously research and evaluate new and existing plant varieties. Our yearly Trials provide more than four acres of over 3,000 plant varieties in three Trial categories: row, hanging basket, and container . Please visit us during the summer to experience our world renowned trials. BROKERS All Raker-Roberta's orders route through our network of 35 broker offices. This network completely covers North America – for a list of brokers, please contact us.